The most fundamental goals of education are long-term goals. As teachers and educators, we want targeted knowledge and skills to be acquired in a way that makes them durable and flexible. More specifically, we want a student’s educational experience to produce a mental representation of the knowledge or skill in question that fosters long-term access to that knowledge and the ability to generalize—that is, to draw on that knowledge in situations that may differ on some dimensions from the exact educational context in which that knowledge was acquired. Who could argue with this? Certainly not Ofsted who happily claim in their most recent Inspection Handbook,”The most important role of teaching is to promote learning and to raise pupils’ achievement.” Quite right. 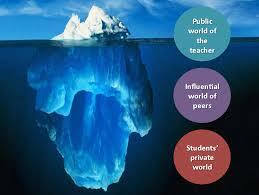 This is, after all, what teaching is fundamentally about. Maybe you have other aims, maybe you consider education to have different purposes, but if we’re not promoting learning and raising achievement what on earth are we doing? 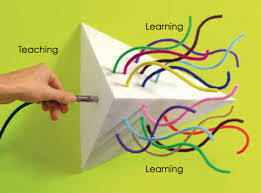 If Ofsted judge T&L by observing lessons, what does progress in lessons look like? Can progress be both rapid and sustained? The reason for the confusion is what I’ve termed The Input/Output Myth. We labour under the misapprehension that what we teach, students will learn. Regrettably, the truth is a whole lot more complicated than that. The Input/Output Myth: If only! Graham Nuthall in his marvellously erudite tome, The Hidden Lives of Learners observes that “as learning occurs so does forgetting”. This is bad enough, but on top of that is the bewildering discovery that most student learning is unique. In the highly structured word of the classroom the ‘items’ learned by no more that 1 other student range from 44.1% to 88.9%. That is to say that on most occasions, well over half of what we teach is not learned by the vast majority of our students. Terrifying! How can we possibly keep track of their progress? Progress: the tip of the iceberg! visible world of the teacher, the murky, mysterious world of students’ peers, and there’s the rarely glimpsed, private word of the individual student. We get to see our teacher, we get to see the students answering questions and performing task designed to demonstrate their progress but we seldom, if ever, get see inside students’ heads. We literally have NO IDEA what’s going on in there. And any attempt to claim otherwise is foolishness. The first is simple. But hard. We need to be weaned from the belief that we can observe progress in 20 minutes, or even a lesson. There is no such thing as progress within lessons. There is only learning. Learning is a liminal process, at the boundary between control and chaos. Basically, we must accept that sometimes learning occurs but performance in the short term doesn’t improve, and that at other times, performance may improve, but little learning seems to happen in the long term. The second is difficult, but desirably so. I love Bjork’s coining, ‘desirable difficulties’ because it gets to the very heart of the counter intuitive nature of learning. It turns out that making it more difficult for students to learn means that they actually learn more! If you’re after rapid improvement (performance) then you make your teaching predictable, give students clear cues about the answers you’re looking for, and do a whole load of massed practice. If you watch that lesson it looks great! The teacher is happy, the students are happy and the observer can tick delightedly away at their clipboard. Come back and text them next week, next month, next year and the situation is a little more bleak. On the other hand, if you after sustained improvement (learning): then you want to introduce as much variability into your teaching as possible; change rooms, change seating, change displays: remove the comforting and familiar background to lessons, and introduce spacing and interleaving to redesign your curriculum. These ‘desirable difficulties’ will slow down performance but lead to long term retention and (Daniel Willingham’s Holy Grail) transfer of knowledge between domains. But therein lies the problem: everyone prefers the feeling of ‘rapid progress’. The route to sustained progress feels uncomfortable. We have to delay gratification. We have to take the risk that an observer won’t tick the ‘progress’ box on their observation pro forma. We might look bad. So we don’t do it. But let’s assume that you’re willing to take the risk. What would it look like? What all these difficulties have in common is that they encourage a deeper, more complex processing of material than people would normally engage in which makes information more likely to transfer from working to long-term memory. Bjork’s come up with what he rather unimaginatively calls the New Theory of Disuse. This suggests that memory doesn’t decay, instead we become less able to retrieve the information we’ve stored. The difference might sound pedantic, but actually it’s quite exciting. It means that the storage capacity of human memory is, for all practical purposes, limitless. friend you’ve been visiting for years as both high storage and retrieval strengths as we’re continually using the information. But if they suddenly move house their new address will have low storage strength because we haven’t known it long but its retrieval strength will be quite high as we continually review the address so as not to forget it. 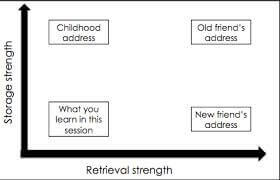 Other information like the address we lived at as a child has high storage strength as we’ve known it forever, but low retrieval strength because we don’t think about it very often. This accounts for our frustrating inability to suddenly be unable to recall stuff we know we know. And then there’s the stuff you’ve just taught your Year 9s. That has low storage because they’ve only just learned it and low retrieval strength because they’ve never tried to recall it. ; the lower the storage strength, the more quickly retrieval strength fades. No wonder they forget it so quickly! Making learning easier causes boosts retrieval strength in the short-term leading to better performance. But because the deeper processing that encourages the long-term retention is missing, that retrieval strength quickly evaporates. The very weird fact of the matter is that forgetting creates the capacity for learning. If we don’t forget we limit our ability to learn. So we actually want students to forget some stuff! When learning is difficult, people make more mistakes, and, naturally, they infer that what they’re doing must be wrong. In the short-term, difficulties inhibit performance, causing more mistakes to be made and more apparent forgetting. But it is this forgetting that actually benefits students in the long-term; relearning forgotten material takes demonstrably less time with each iteration. All of the difficulties outlined below are predicated on this simple but counter intuitive premise. Some of these difficulties don’t seem so bad. 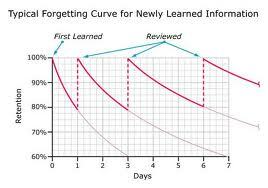 Ebbinghaus was banging on about his ‘forgetting curve’ over a century ago and spacing is one of the most widely accepted facts in cognitive science about how the human brain learns. The first graph shows the unsurprising fact that after we learn a piece of information we start to forget it. The longer we leave it, the more likely it is that the memory ‘decays’ and we forget. This is the Theory of Disuse. It seems to make complete sense that if we revisit this information at regular intervals we are much more likely to remember it, but the real reason this is so effective is the fact that as students forget, they are more receptive to learning new information. The only problem with this as teachers is the kids perpetual moan that they’ve “done this before”. As with all things pedagogical if you explain why you’re doing what you’re doing, all should be well. Of all the difficulties Bjork suggests, this is the only one analysed by Hattie in Visible Learning. He gives spaced versus massed learned an effect size of d = 0.71, which is high. Of more interest perhaps is the finding that spacing increases the students’ rate of acquisition by d = 0.45 and retention by d = 0.51. This is on top of any other effects for strategies like feedback and direct instruction. Pretty cool, eh? Another desirable difficulty we can introduce is to get students to ‘generate’ information instead of just reading it. 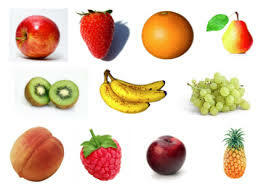 If I wanted you to learn the names of a load of fruit, I could ask you to simply read and recall their names, or I could give you a prompt such as ‘or____’ and ‘orange’ would immediately come to mind. This results in ‘retrieval induced forgetting’; when retrieving information from memory the retrieved memory will be strengthened. However, competing memories will be less accessible afterwards. This implies that remembering doesn’t only produce positive effects for the remembered facts or events, but it might also lead to forgetting of other, related things in memory. Unsurprisingly, over the short-term you would remember those items you had generated much better than those you hadn’t. Another difficulty we might want to introduce is interleaving our curricula. This means that instead of delivering topics in the traditional termly blocks, we instead work out in advance the information we need students to learn over the duration of a course and mix it up so that in any given term they might study 6 or 7 different topics. This is maybe more straightforward in a ‘skills based’ subject like English but may look very daunting for teachers of maths or science. If you deliver your course in blocks students’ performance will be much higher at the end of a term. But if you interleave your curriculum their learning will be much deeper at the and of the course. Blocking leads to short term gains but they’re deceptively compelling; it feels right to do teach this way. But why is this? What happens in our brains when we “mass” versus “interleaf” our learning? Bjork speculates that blocking gives us a false sense of security; we think we’re getting better. In contrast, interleaving creates anxiety; the feeling things are unpredictable, and that therefore we need to take more care. Possibly the most surprising difficulty is that of testing. Bjork refers to ‘the illusion of knowing’ (which is really just a more poetic way of describing counter-intuition.) We think we know more than in fact we do. For instance you may well have some pretty fixed ideas about testing. Which of these study patterns is more likely to result in long term learning? Most of us will pick 1. It just feels right, doesn’t it? Spaced repetitions of study are bound to result in better results, right? Wrong. The most successful pattern is in fact No. 4. Having just one study session, followed by three short testing sessions – and then a final assessment – will out perform any other pattern. Who knew? But this doesn’t mean we need more summative assessment. What it suggests is that we should use testing as part of our teaching and learning repertoire. Until very recently, this was something that, quite literally, never occurred to me. Bjork’s advice is to make testing experiences low risk, frequent, and designed to include variation and distracting difficulties. such as providing competing alternative answers to trigger retrieval of information that might be tested at another opportunity. The desire for positive feedback can prevent risk taking & attempting more challenging tasks. I don’t know about you, but this stuff makes my head reel. Great post.This makes sense to me.You don’t play golf on the golfing range or cricket in the nets.The pattern you highlight would engage peer learning dialogues and vis its repetition and regularity,take its place in the student’s private world. Interestingly, what does this suggest about Controlled Assessments and the January exams? Does the headlong rush to IGCSE cohere with this research? Or does the process of test, test,test,actually fit that model better? No – controlled assessments are rendered useless by their summative nature. Testing has to be used as part of your pedagogy. At least, that’s what I think. I’m not entirely sure what I think of all this and I sense that you share my uncertainty. On one level, the imperative to make it harder seems to fall foul of cognitive load theory. However, I also read this as a piece against dumbing down and against playing to the gallery in order to demonstrate the notorious ‘progress in lessons’. I concur with those sentiments. In fact, I recall the only initiative that I have ever seen increase uptake into A Level physics; to insist more students did triple rather than double science at GCSE. Making it harder worked for them. Perhaps the most surprising and counter-intuitve of your suggestions is: “Using fonts that are slightly harder to read,” but this is apparently supported by some recent reseach published here: http://www.tandfonline.com/doi/full/10.1080/00220671.2012.736430 and reported here: http://www.telegraph.co.uk/education/educationnews/10089102/Hard-to-read-fonts-can-boost-pupil-results-by-up-to-a-fifth.html. Was the your inclusion of this suggestion prompted by that piece or do you have other evidence or experience that supports this idea? Harry – I’m really interested in the idea that deliberate difficulty might run counter to cognitive load theory, especially as both theories come from cognitive psychologists. I tweeted Daniel Willingham about his opinion on Bjork’s research but got no response. This isn’t just moonshine though; there appears to be a body a serious research and (as far as I can tell) decent science underpinning the theory of deliberate difficulties. It’s good to be challenged though, I think. Pip – yes I was aware of this story in the Telegraph but, no, this didn’t prompt it’s inclusion in my post. Bjork’s research from waaay back in the 90s references this idea. I haven’t expanded on it because I’m still trying to wrap my head round it. It feels suitably counter intuitive though, doesn’t it? 1) How I will use this… for example, I have built into my department plans regular recaps of everything covered previously (for their own sake and as a way to identify links between past and current topics). Reading this though, i thought that perhaps I’d just do a test every half term, but make it a test of anything we had covered previously (and plan things out to ensure that everything is returned to at regular intervals). 2) I completely agree with your point about performance as against learning… but the question remains, how do we know our students are making progress. (I have very limited interest in proving this to anyone else, but I want to know when a lesson is effective, how and where they’re developing, what I, or they, have missed). One of the things I’ve considered trying to account for is the quality of reflection and ability to explain next steps needed… which takes account of the short-term dip. Also, just lots of things I liked and acted as interesting reminders, like the importance of regular testing and remembering the rate and amount of forgetting students do. This has grown long enough, so I’ll stop here… But definitely thought-provoking! I don’t know if you are aware of it, or, after reading some of this blog, you are doing it deliberately, but your blogs can be difficult to read. The variation in format and structure through the blog, the positioning of graphics…..from what you say in the blog this could make the reader work harder and, hence, take the information in in a deeper way…or, it could lead to what I did, which is only skim read it…and possibly miss out. What would a student do? 2) Tracking progress – if students map out their knowledge at the start of a unit (see this paper for ideas: http://cmap.ihmc.us/publications/researchpapers/theorycmaps/theoryunderlyingconceptmaps.htm) not only can you assess their progress in absolute terms you can see how this is being added to as you deliver content – not jut what you’ve taught them, but what they’ve actually learned based on what they already knew. 3) Motivation is an important concern. Part of the solution is to simply explain what you’re doing to the students – if the ‘get it’, they’re less likely to be troubled. In terms of empirical support for the idea that increased difficulty is desirable there is an absolute ton of evidence for this in the motivational literature. I’m thinking in particular of Locke and Latham’s goal setting theory which as well as being tested many many times also states that the harder the goal the more motivating it is. There are some caveats such as the fact that the goal can’t be seen as so difficult as to be unattainable but the general premise that increased difficulty is a good thing does hold true. Finding all this difficult to get to grips with. However, one thought. If dyslexics find reading texts difficult, shouldn’t this ultimately deepen their learning, or am I over-simplifying the argument? Therefore, if they don’t achieve deeper learning, does this disprove the theory. I am leaving aside the debate about dyslexia’s existence for now. I don’t think it’s quite as simple as saying anything which makes learning more difficult is automatically desirable; clearly being punched in the face while trying to read would be unlikely to benefit anyone. However, there is some research which supports the idea that printing out everything in comic sans and simplifying language for dyslexic readers actually prevents them from making progress in reading. And of course, this is a numbers game: it won’t necessarily work for all at the level of individual students. I liked the questioning of making progress and learning visible. It seems to me there is a question around what is lost in trying to make learning visible. Thanks for the link – looks interesting. Really like where this is going. Learning is such an amazing bunch of processes. I have to think about learning in two ways to characterise it, though I am sure that this is an injustice. I really don’t want to reignite the information/skills debate but some things are relatively simplistic and others require much more thought. For me the significant learning is that which really does make your head hurt, ie, creates cognitive dissonance. When talking with classes I explain this as the,”I just don’t get this.” phase followed by the , “Ahh!” phase. When someone can’t make sense of something because it doesn’t fit their scheme of the world and then the light bulb goes on and they have that wonderful moment. I love it when you hear that around the class, and then the rush to explain it to someone else.